Putnam City Schools (PCS), the fifth largest public school district in Oklahoma serving approximately 19,000 students, partnered with LocknCharge to design a custom charging station for one-to-one programs, with plans to install 500 for the 2017-2018 school year. 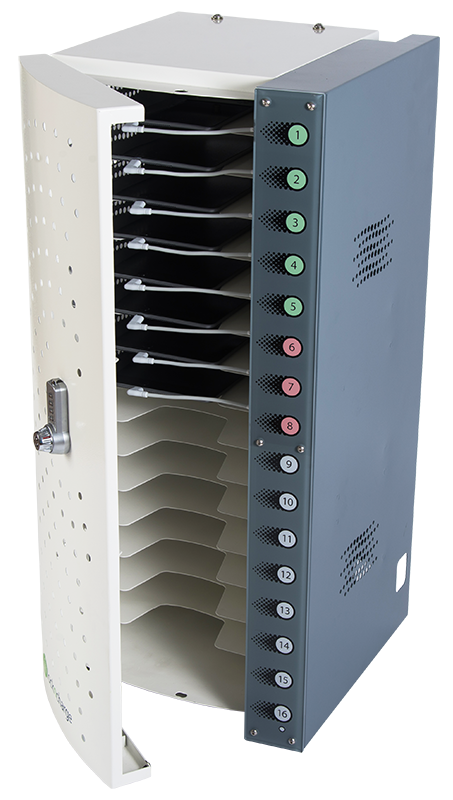 The Putnam 16 Charging Station supports simultaneous storage and charging for up to 16 iPads. Image: LocknCharge. The Putnam 16 Charging Station, as it is called, is capable of simultaneously storing and charging up to 16 iPad devices. The pre-wired charging stations have 16 MFI certified lightning cables, according to information from LocknCharge, with 2.4 amp charging at each port. Capable of being stacked or wall-mounted if desired. PCS is rolling out 400 of these charging stations to its middle schools, while the remaining 100 will go to individual classrooms with a 1-to-1 program. 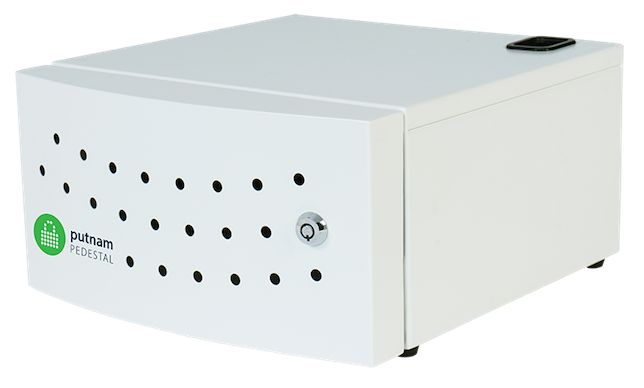 LocknCharge is a company that designs, manufactures and distributes high-quality and functional security, charging and transport solutions for store laptop, tablets, Chromebooks, iPads and other mobile devices. The company offers a lifetime warranty on all devices. Further information is available on the LocknCharge site.